Over the past 64 years, Exterran® has evolved as an industry leader in full-service, turnkey midstream infrastructure solutions. Our secret? We combine global resources with an unmatched level of local service and support. Headquartered in Houston, our 4,500 employees serve customers in every major hydrocarbon region worldwide. Our engineering team has over 1,545 years of combined experience, and 32% percent of our employees have more than 10 years with Exterran. That means from the wellhead to the pipeline, you’re dealing with seasoned professionals who excel at keeping operations running—and keeping customers satisfied. Service. Innovation. Expertise. This is where it all comes together. "We have a very good technical partnership with Exterran. From the field to upper management, everyone there provides us with positive communication. They are very attentive to our needs." 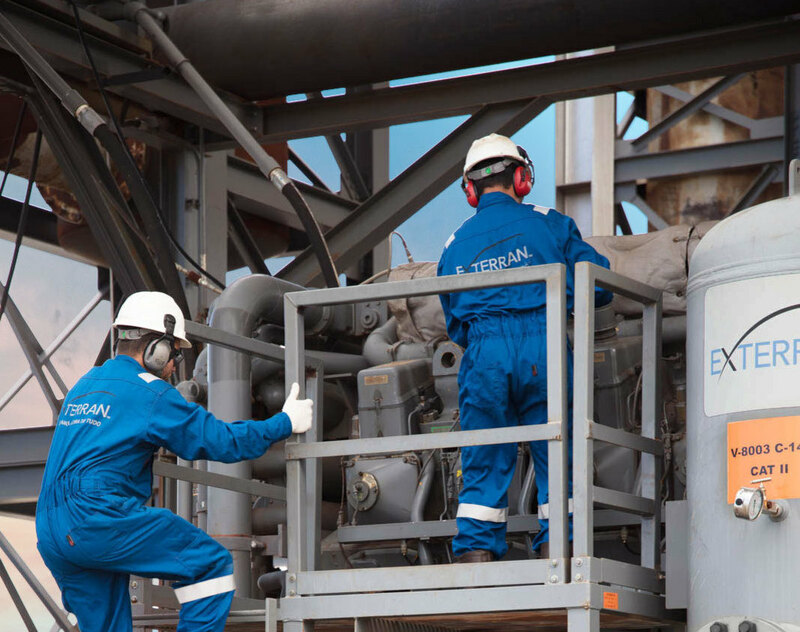 Exterran delivers value through flexible contract operations, robust aftermarket services and premium products. We help our customers reduce their operational and financial risk, optimize production and monetize their fields faster. And we future-proof our plant design for maximum flexibility so our customers can adapt quickly and opportunistically to market conditions. A Legacy Of Leadership And Performance. Exterran has a reputation for performance and reliability that dates back more than a half century. A series of mergers with industry leaders throughout our history have contributed to today’s robust, stable organization. And we’ve expanded our capabilities and global reach to give our customers the world’s most comprehensive resource for critical infrastructure solutions. Enterprise-wide, we are driven by innovation and superior service — a combination that has enabled us to grow rapidly and reposition our organization as a world-class systems and process company for oil, gas, water and power. Exterran Corporation is formed and former U.S. contract compression and services business becomes Archrock, Inc.
Universal Compression and Hanover merge to form Exterran Holdings, Inc.